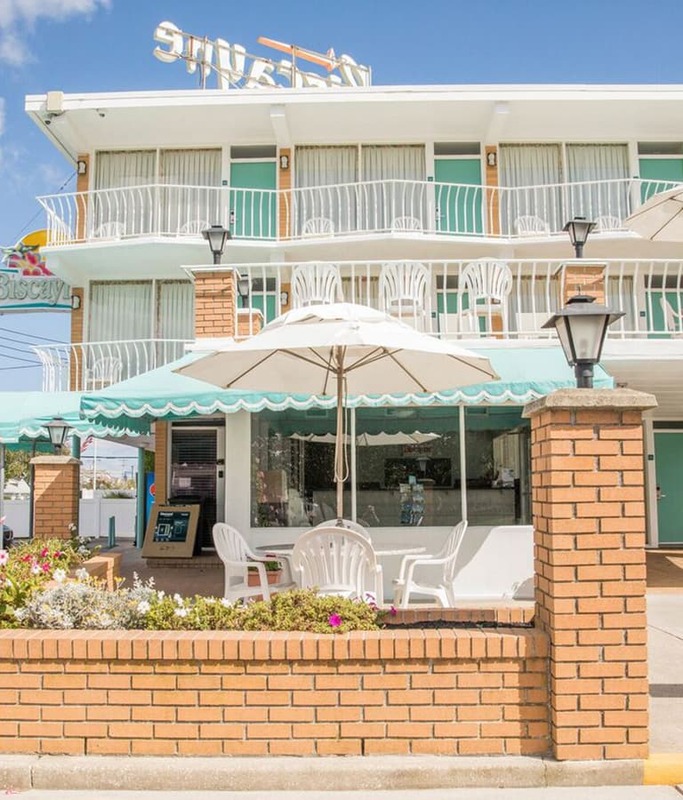 When it comes to remarkable motels in Wildwood Crest, NJ, the Biscayne Family Resort in New Jersey is an excellent choice. You can use our online reservations system to book anytime you wish or call us directly at 609-522-4444. When you are searching for comfortable, affordable and convenient hotels, Wildwood Crest, NJ's Biscayne Family Resort is the best place to stay. Rates are subject to change. Rates do not apply to holiday weekends, conventions or special events. A minimum advanced reservation of three nights is required. Deposits are credited to last day or period reserved, and are not transferable to future reservations. A deposit of one night’s stay is required when reserving at least three nights. A deposit of two nights stay is required when reserving four to seven nights. All reservations greater than seven nights require a three night deposit. All weekly rentals require a 35% deposit. Refunds will only be issued upon a two week’s notice of room cancellation. Our 2 and 3 bedroom suites E, G, H, I, O, and R require 30 days notice of cancellations. Check-in time is between 3:00 p.m. and 10:00 p.m. The Biscayne is a Smoke Free facility. Off-street parking is available for one car per unit only. Misrepresentation will void the reservation and will lead to forfeiture of amounts prepaid.